German newspaper Bild am Sonntag has reported that Audi has hit a snag in its battery supply chain. LG Chem is looking to increase the price of its batteries 10% due to high demand for its automotive batteries. LG Chem is the supplier for batteries for Daimler and the entire Volkswagen Group, meaning VW, Audi, Porsche, and Mercedes-Benz will all potentially be affected by the pricing increase, if the increase noted by sources commenting on the matter comes to pass. Audi and LG Chem both declined to comment on the matter to the German paper, as is standard for contracts actively being negotiated. 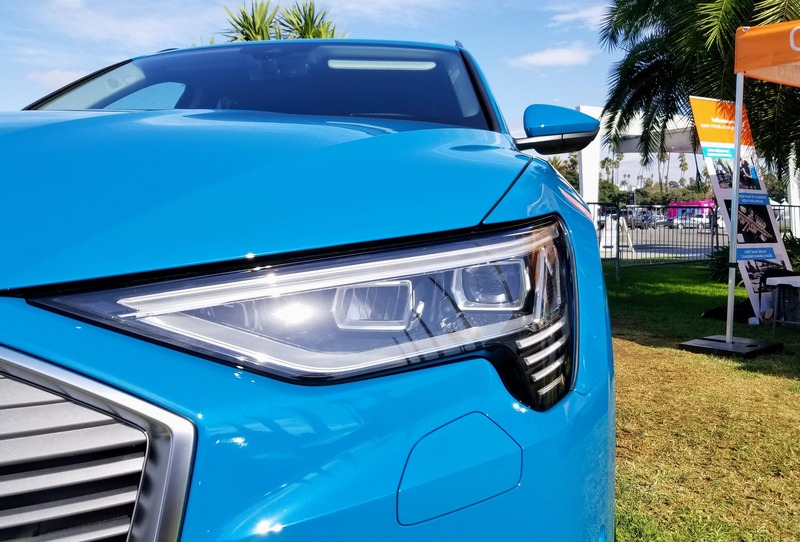 An Audi executive told CleanTechnica last week that Audi is prepared to produce far more of these vehicles than people have been presuming and reporting. A separate Volkswagen executive talked at length with CleanTechnica and emphasized that, unlike some electric vehicles from competitors, Volkswagen Group’s EVs have been designed fully electric and do not share a platform with gasoline or diesel cars. Given that the company is in the business of making money and has factories and production lines tooled up or tooling up for these vehicles, the point was that the company would like to produce and sell as many of these vehicles as it can — each extra sale helps to cover the R&D and factory investment costs. Additional news on the inaugural electric model from Audi is that the company was smacked with a delay on the development side of its new Audi e-tron 55 quattro. An Audi spokesperson shared with the German outlet that the new SUV will be delayed four weeks due to a software development issue. The automotive manufacturer shared that it had modified a piece of software late in the process, which would have to be cleared by regulators, according to the spokesperson. Bild am Sonntag reported that the delay could potentially be a matter of a few months as Audi seeks to master building and programming an electric vehicle that stays true to the Audi brand while also stepping up its game to compete with market leader Tesla. Audi’s first fully electric vehicle has been watched carefully since early prototypes started popping up around town, with an especially keen interest in the car since the reveal of the production version to the world last month. Since then, the two production builds of the car have made rounds at the Alt Car Expo in Santa Monica, California, and in the UK at the Electric Vehicle Experience Centre in centre:mk in Milton Keynes. 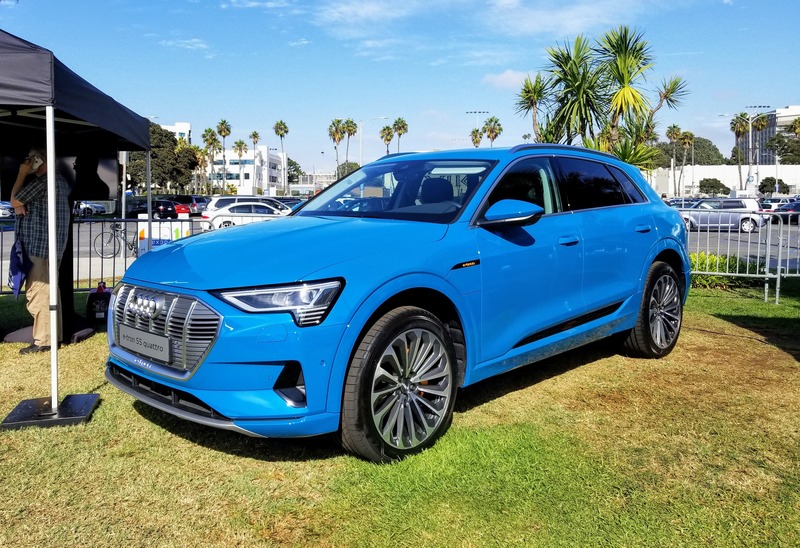 Since its reveal, Audi’s full-sized electric SUV has racked up some 10,000 reservations that will now face similar delays to those of the Tesla Model 3, which has recently ramped up sales significantly over the last quarter. More broadly, the German auto industry appears to be truly awakening to demand from consumers and impending mandates from regulators to convert their new vehicle lineups to electric.